Mayo 0-6 Sligo 0-6 (Boyle, 26/5/1929). MAYO: M McLoughlin; J Kenny, D Creagh (0-1), W Donoghue; T Tunney, M Mullen (0-2), TJ Hanley (0-1); M Mulderrig (0-1), J Forde (0-1); F Patten, G Courell, P Hoban; M Moran, P Cox, ? Kelly. FINAL: Mayo 1-6 Galway 0-4 (Roscommon, 21/7/1929). MAYO: M McLoughlin; J Kenny (1-0), D Creagh, W Donoghue; T Tunney, M Mullen, TJ Hanley; M Mulderrig, J Forde; F Patten, J McGahern, M Moran; M Barrett, R Moore, G Courell (0-6). SEMI-FINAL: Kerry 3-8 Mayo 1-1 (Roscommon 18/8/1929). 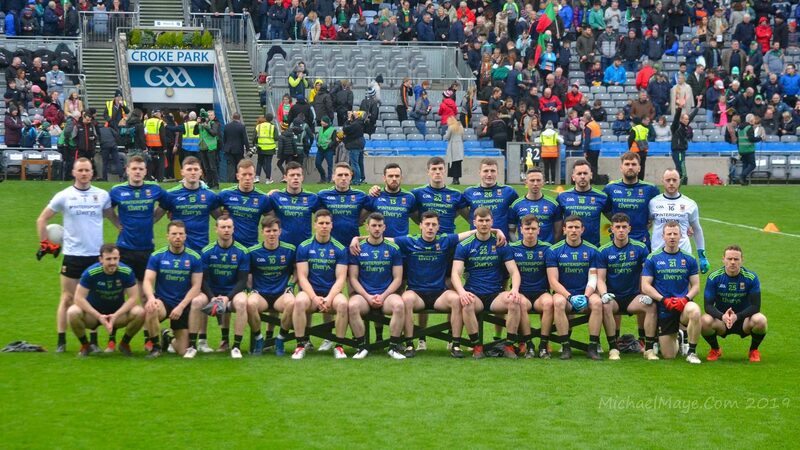 MAYO: M McLoughlin; J Kenny, D Creagh, W Donoghue; T Tunney, M Mullen, TJ Hanley; M Mulderrig, J Forde; F Patten (0-1), P O’Leary, M Moran; M Barrett (1-0), J McGahern, G Courell.